The law firm of Anderlini & McSweeney LLP was founded by two lawyers who have dedicated the over 40 years to representing clients in San Mateo, San Jose and Redwood City, California. Terry Anderlini and Brian McSweeney focused their practice on providing personal, comprehensive legal services to their clients. 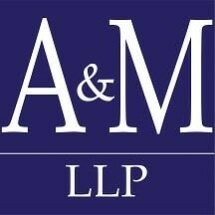 Anderlini & McSweeney LLP is a law firm created by experienced lawyers who are assisted by skilled staffers. During trials and off-site appointments, the phones are answered by their knowledgeable team, but your case will only be handled by lawyers. The firm has secured millions of dollars in settlements for hundreds of grateful clients and balances compassion with an aggressive legal approach. The principals of the firm have over 40 years of experience successfully representing clients in a variety of legal matters, including personal injury cases, medical malpractice, professional negligence, business and real estate litigation, contracts, business formation documents, real estate transactions, trust administration and motor vehicle dealership representation. Wills and trusts that are prepared by Anderlini & McSweeney LLP are tailored to each client’s individual needs since, oftentimes, pre-packaged forms do not suffice as these important legal instruments. The founding attorneys are well known and well respected among other attorneys, judges, arbitrators, mediators and various office holders. Terry Anderlini is past president of the State Bar of California as well as numerous civic, social and professional groups, and associations. He regularly teaches during the annual trial advocacy courses given at Stanford University and at the University of San Francisco law schools. He has been selected as a Super Lawyer by his peers. Get answers to your questions about personal injury cases, employment law, business formation and other civil litigation matters by calling the law firm of Anderlini & McSweeney LLP at 650-242-4884 to schedule your free consultation. The Anderlini & McSweeney LLP law office is conveniently located in San Mateo, just south of the San Francisco International Airport near the intersection of Highway 92 and U.S. 101. Real Estate Transactions, Zoning, Land Use & Condemnation, Landlord-Tenant Lit.